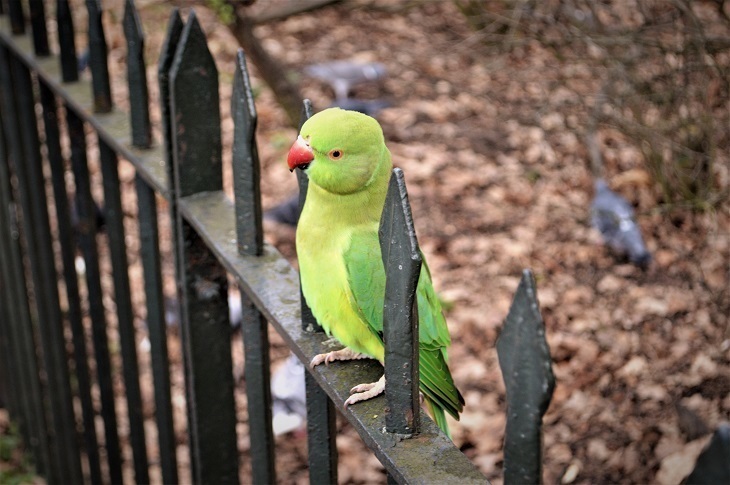 Want to see London's wild parakeets up close? 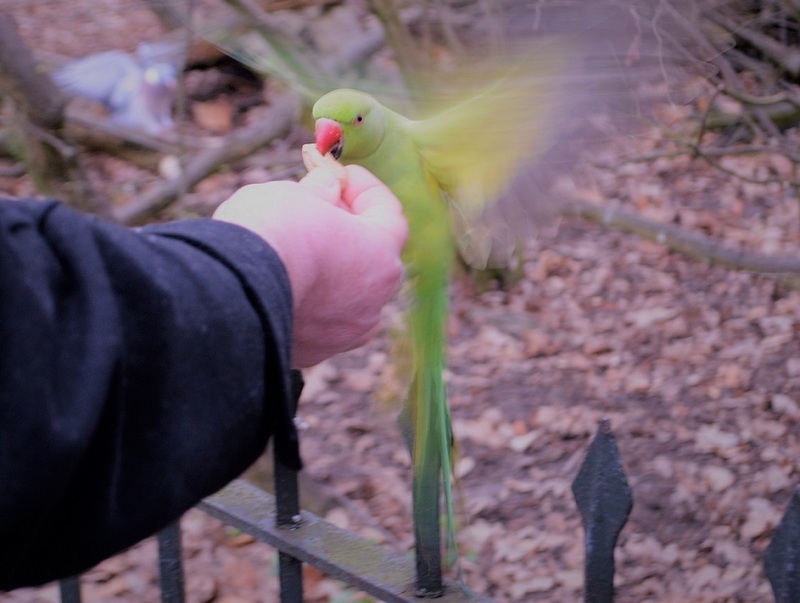 There's a place in Kensington Gardens where the colourful blighters will land on your hand, so long as they think you have food. 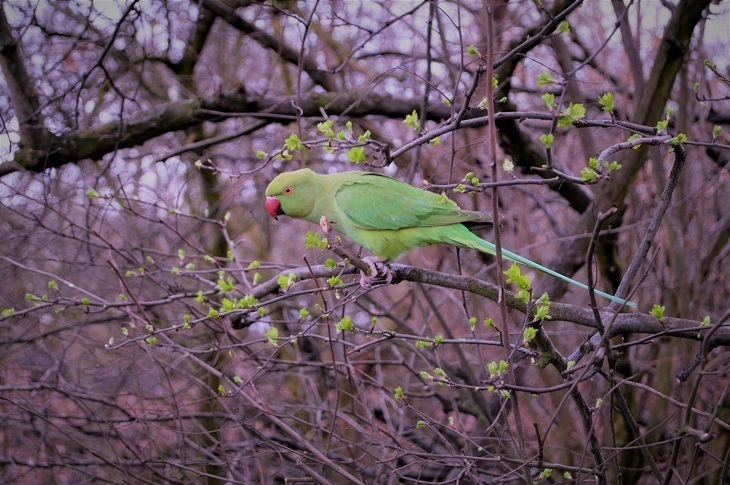 Wild parakeets are now one of the commonest birds in London. These screeching, eye-catching birds have been clocked in all 32 boroughs, and even the Square Mile. They are alluringly photogenic, but move fast and are usually shy of humans. So it's gratifying to find a place where they're tame enough to hold in your hand. 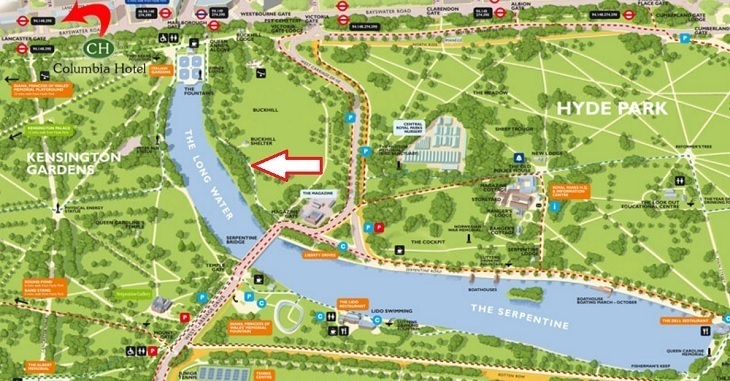 Head along the east bank of the Long Water (what most of us call the Serpentine, though that's officially only the stretch that runs through Hyde Park). About half-way down, just before Henry Moore's Arch, you might spot a bird feeder in the bushes. The site seems particularly attractive to both squirrels and parakeets. Both were keen for the crumbs offered by a passing visitor. Neither were shy of scaling arms or legs in search of a treat. The parakeets were just as lively on a second visit a few days later. We've been keeping an eye on the birds for years, but have never seen them act quite so tame. No doubt there are other locations around town with friendly parakeets, and we'd welcome any tips in the comments. The birds are obviously not indigenous to Britain, but nobody really knows how they got here. Some say they escaped a film set, or were released in the Great Storm of 1987. Rumours that Jimi Hendrix set free a breeding pair on Carnaby Street as part of a swinging 60s stunt are untrue — at least according to his girlfriend of the time, Kathy Etchingham. 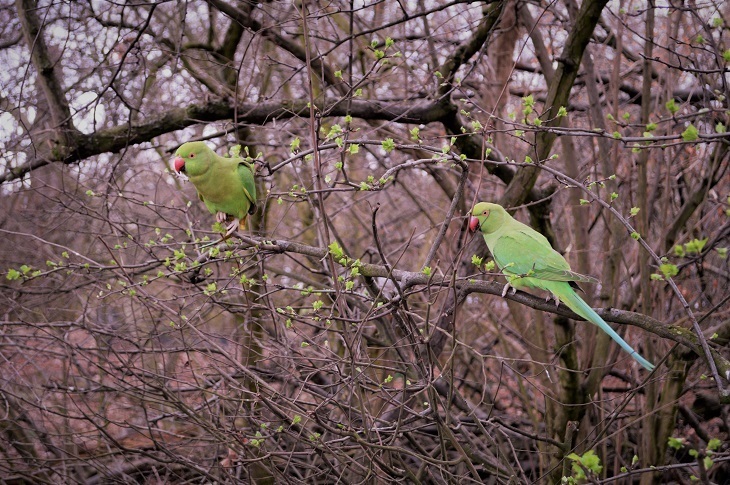 Wherever they come from, the parakeets are a familiar sight (and sound) in London's skies. Now you can hold them in your hand.